ORANGE COUNTY, CA—The simple truth about what Orange County developers are doing to make homes more affordable in the region is, “We are not doing nearly enough,” Trumark Homes’ Southern California division president Richard Douglass tells GlobeSt.com. 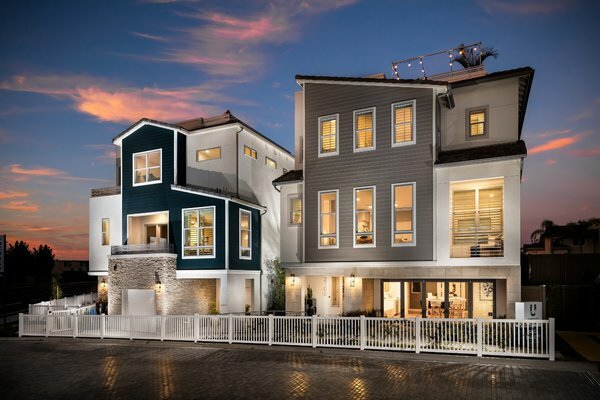 The California-based homebuilding company is introducing four new residential communities in attractive suburban markets throughout Southern California totaling 363 new homes all in various stages of development: Upcoast in Costa Mesa, Tribella in Santa Ana and Bristol andFounders in Chino Hills. We spoke with Douglass about the affordability question and what strategies developers can use to remove or reduce the obstacles to building entry-level homes in this market. GlobeSt.com: What are developers doing to make new homes both desirable and affordable in Orange County? Douglass: In terms of desirability, our industry has emerged from the economic downturn with the best products ever produced. The modern home is more energy efficient, smarter and features materials that are more durable, colorful and diverse. Our product research has told us about optimal room sizes, placement and amenities. We have a wide range of styles and many more versions of the classic modern look—which was missing to a large degree in past housingcycles. Our products are thus better than they have ever been. It is a far different story when it comes to affordability. The simple truth is we are not doing nearly enough. For every one of our product innovations, it seems we have a dozen new regulations. It takes us longer than ever to bring products to market due to bureaucratic delays. Land-use regulations are outdated and geared to gridlock new construction. This means fewer jobs, more expense in building construction and, in the end, more expense in one of the most expensive places in the world to live. We need to change this reality. We need to fast track key infrastructure to help elevate our standards of living. This will add jobs, wages, and income growth, allowing people to afford to pay more. We need to shorten our plan check and government review times, minimizing finance costs. We also need to revise the insanity of the California Environmental Quality Act to make it much harder for opponents of growth – any growth – to stymie new developments just to maintain the status quo. GlobeSt.com: Is this more challenging in a market like Orange County, where the barriers to entry and costs to build are high? Douglass: In many ways, Orange County is easier in which to build. Because of the great master-planned communities, the county and the cities that adjoin these areas have a greater degree of knowledge on more-sophisticated designs, more capacity for innovations in density and are more tolerant of changes to traditional methods. Can we go even further? Yes. But by contrast, many areas of the Inland Empire have not yet fully embraced the planning and design concepts we take for granted in Orange County. Part of this is simply evolution and experience, and part of it is the provincial nature of local government that does not always want to embrace the overall design aspects of other cities. What this means, of course, is that builders need to understand the design standards of myriad local governments. This often means we can’t take a successful design and layout from one city to the next without making significant changes. GlobeSt.com: What strategies can developers use to beat the obstacles to entry-level development in markets like OC? Douglass: I’m pleased that GlobeSt.com has asked to interview me on several occasions now, and this may be the hardest question you have ever asked me. The first part of the answer is simple to state and hard to achieve: to increase density. Land is costly, and the more units you can successfully place, the less cost per unit. Not exactly rocket science, granted, but in practice it is not so simple. All the regulations I have mentioned come into play, and then you have the ultimate aspect of how will people live and thrive in a certain design. I think the ultimate strategy goes far beyond the builders themselves. I’ve been advocating for years for a closer dialogue and interaction between government and the building sector. We need to get past the idea that one wants to take advantage of the other and the other needs to over-regulate to keep things honest. This has not worked, from a housing-availability perspective. Now is the time to change the paradigm. Ultimately, it’s about developers finding a place where the idea that new and vibrant living is welcome and not a negative. We are starting to see more cities moving is this direction, but we need more. GlobeSt.com: What else should our readers know about your four new communities? Douglass: First of all, they each showcase trendsetting design. They are a great balance of density and livability. Trumark is really proud of how they live, and that is massively important to us, first and foremost. We are extremely conscious of enhancing the lives of our buyers and families, which runs to the deepest layers of the DNA of Trumark. But, what is especially cool is the fact that each of these communities is a re-use of a previous land use that was old and outdated. We essentially recycled the land from something that did not enhance the community into something that does, which is progress. We did not cut down a forest, we did not pollute, we did not harm the environment. Instead, we recycled old buildings and things whose time had come and replaced them with a place where people will help shape our futures. We love that. NEWARK, CA—In order to meet the growing demand for new housing supply, Trumark Homes continues to expand its portfolio in Northern California. Its 164 single-family homes and townhomes within two neighborhoods, Shade at Timber and Canopy at Timber, have sold out. Located at the intersection of Cedar Boulevard and Robertson Avenue, Timber provides access to public transportation, schools, parks, sports facilities and shopping. Designed by KTGY Architecture + Planning, the Timber community has a craftsman architectural style. 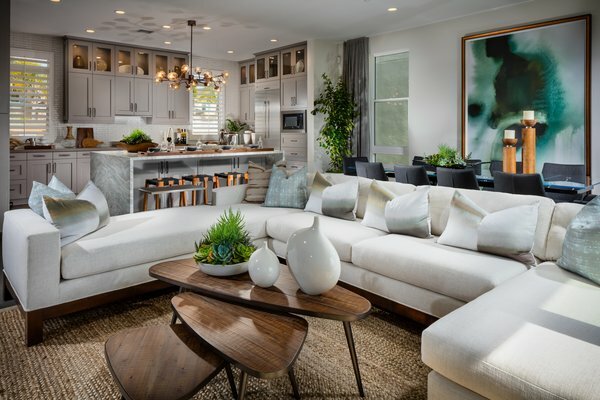 Shade at Timber presents three-story single-family floor plans ranging in size from 2,115 to 2,405 square feet with four bedrooms, three-and-a-half bathrooms, as well as two-car attached garages. Canopy at Timber provides single-family attached townhouses ranging in size from 1,540 to 2,026 square feet with three or four bedrooms and either three- or three-and-a-half bathrooms, depending on the plan, and two-car attached garages. Several of the plans within each neighborhood also offer a second floor deck. 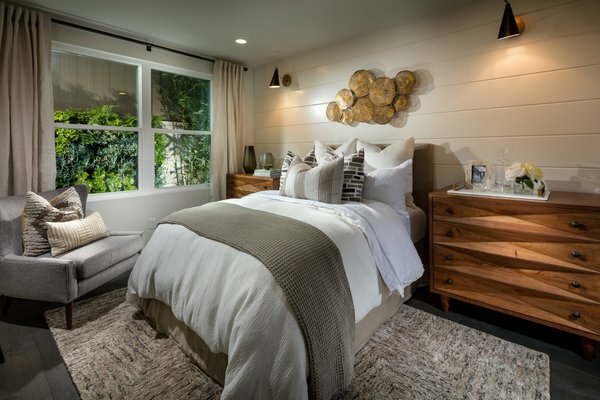 Trumark teamed up with long-term equity partner, The Resmark Companies, to develop Timber, as well as three other California new home communities in Los Angeles, San Jose and Milpitas, all of which have sold out. design appeal of Canopy Plan 3. Trumark also received a gold award for best brochure for a community at the National Association of Home Builders’ 2016 national awards. Upcoast in Costa Mesa is a community of 28 three-story detached homes spanning a two-acre bluff, one mile up from the coast. 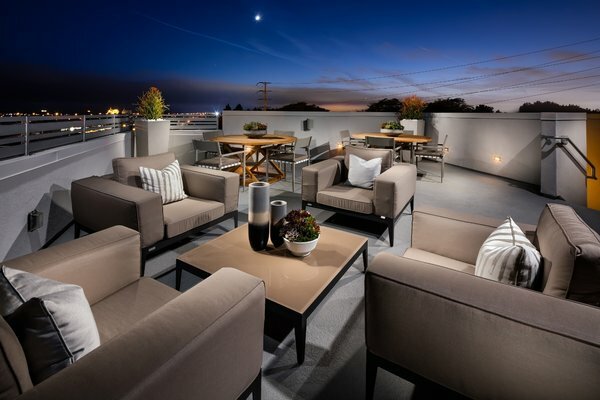 Designed by Trumark Homes, the community capitalizes on the coastal setting and indoor/outdoor lifestyle and a majority of the homes feature a rooftop terrace. Residents can conveniently access a system of local walking paths leading to a nearby beach, as well as a system of local trails. With homes ranging from 1,900 square feet to 2,300 square feet, Upcoast was recently named “Detached Community of the Year Priced under $1.5 Million” at the 2016 SoCal Awards presented by the Greater Sales & Marketing Council and Building Industry Association of Southern California. Interiors evoke calm ocean hues with subtle luxury: Shaker-style cabinetry in painted white finish with satin nickel cup pulls and knobs, contemporary recessed LED lighting in select areas, Bertazzoni stainless steel appliances and cultured marble countertops in matte finish. Each home includes an electric vehicle conduit in the garage, Honeywell Wi-Fi programmable thermostat, and features energy-saving radiant barrier roof sheathing and Low-E glass vinyl-framed windows throughout.